We are proud to announce that the Bay Ridge Heights Condominium Homeowners Association has selected Tinnelly Law Group as its new legal counsel. Located in the City of San Mateo, Bay Ridge Heights consists of 40 charming condominium homes surrounded by lush landscaping. Bay Ridge Heights’ residents enjoy a quiet neighborhood, a community pool, and some of the best weather in all of the Bay Area. 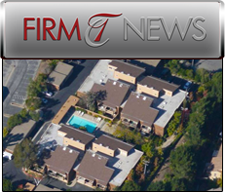 Our HOA lawyers and staff welcome Bay Ridge Heights to Tinnelly Law Group’s expanding Bay Area client portfolio. We look forward to working with the Bay Ridge Board and to developing another lasting relationship with a HOA client.